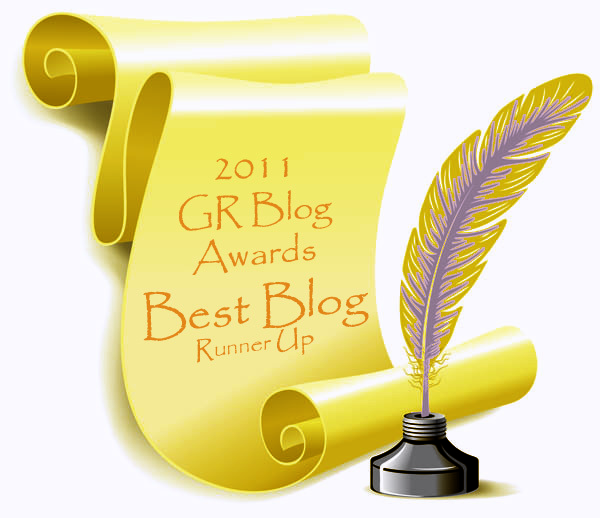 2011 GR Blog Awards – Winners Announced! In Early November, I challenged you al to nominate your favorite Blogs and Blog Posts. And in typical fashion, you all came through with style! It’s because of all of you that today’s winners are announced. Many of them I am also an avid reader of but a few new blogs were pointed out to me (and have been since added to my links list). There were two categories that needed to have Honorable Mentions as they missed winning by one point and in both instances they were ties! For Best Blog and Runner Up, I have included the most touching comment that came in for the winner of each group. The Award Badge for each class can be found beneath the winner’s Title and Website Address. Please feel free to either copy the picture from my page, link to it or email me should you want the original JPG. I will try to send some of these out by email tomorrow, however I do not have the email address for every winner. 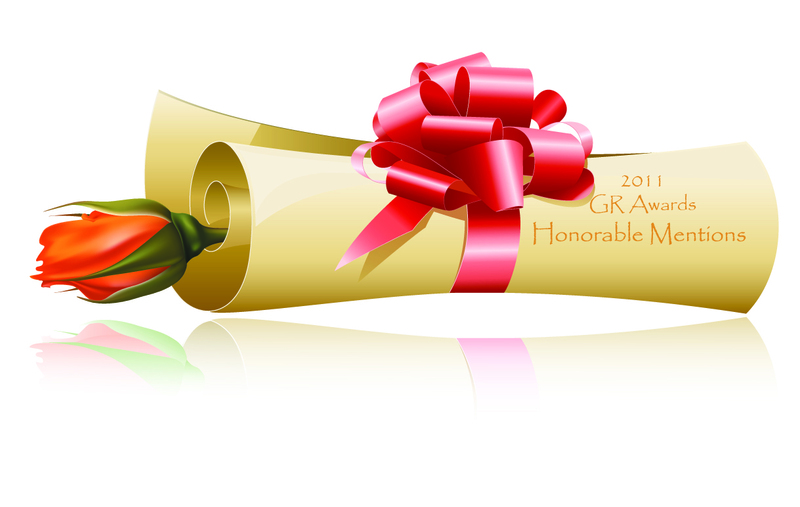 So hearty Congratulations to the Winners of the 2011 Gori Rajkumari Blog Awards! So, without further ado, I give you the winners and their site badges! I have nominated her because she shared a deeply personal and truly difficult (and long-term) experience with us all and remained so much more witty and positive then I could ever imagine myself being. 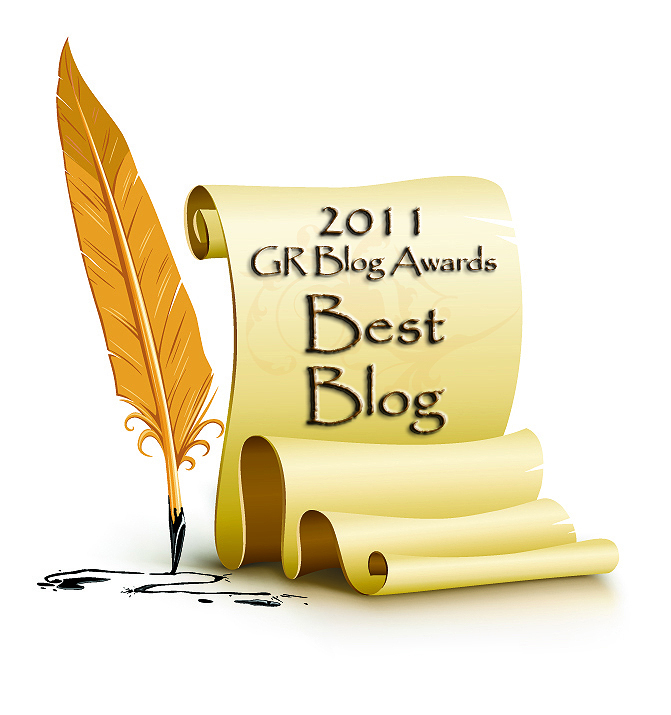 She truly deserves Best Blog for 2011. Her style of writing and topics notwithstanding, but it’s also her ability to express an issue or topic in a story format which is intriguing, fascinating and profound (while sometimes being very funny). I cannot pick just one of her posts because they are ALL good. Therefore, I nominate her for Best Blog 2011. Best Recipes or Instructional Cooking: What’s For Lunch Honey? 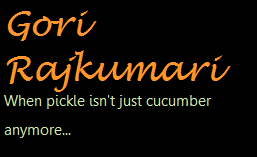 This entry was posted in Blogging and tagged 2011 Blog Awards, © Gori Rajkumari 2011, honorable mentions, Winners of Blog Awards. Bookmark the permalink. It’s entertaining to read through the list. I had a great time reading these wonderful blogs. It’s really amazing for you to organize such list. Pingback: On Birthday and more..!! | i Scribble..!! Apparently, I wasn’t the only one! I got SO many people writing in nominating that particular post that it just blew everyone else’s out of the water! 😉 Great minds think alike. Hey you won that one by cheating! Because people voted for you! 😉 I wasn’t aware of your blog but I got many votes for you! I’m adding you to my reading list! Congratulations and really good blog by the way! 291,366 hits clicks and no miss.